The Mantras possess a unique desire to be different, an urge to delve deeper and always keep their fans guessing. This enticing approach to live entertainment has spawned a devoted and lively community of fans and beautiful freaks. As far as their music goes, well let me tell you, these guys are all over the spectrum! From straight-ahead rock & roll to funky dance grooves to country covers to spaced out jams, it just never stops, and every show is unique. Now more than a decade into the making, The Mantras just purely love music and, more importantly, playing it live… for you! The band shows its truest colors in its annual Mantrabash, which recently completed its sixth year and is hosted in the band’s home state of North Carolina. The Mantras always play multiple sets, each one offering once in a lifetime aspects mixed in with just enough familiarity for their fans to dance along to. Aside from that, they provide an incredible lineup and a positive, enjoyable festival experience, proving their devotion in return to their “Mantourage,” as their fans have become known. 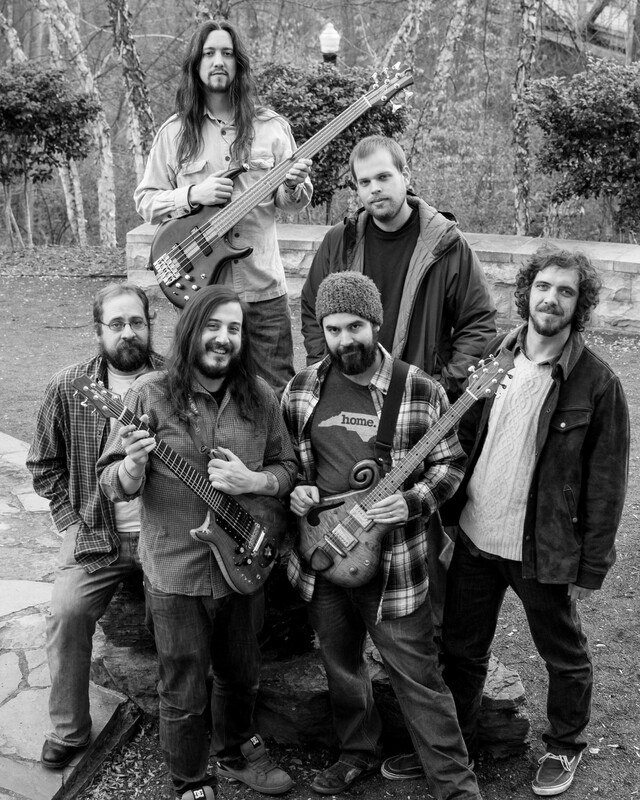 The six-piece jamband consists of Keith Allen (guitar, vocals), Justin Loew (drums), Kenn Mogel (guitar, vocals), Brian Tyndall (bass, vocals), Brent Vaughn (percussion, vocals), and Julian Sizemore (keyboards). Throughout their career this sextet has toured extensively, sharing the stage with Umphrey’s McGee, EOTO, Kyle Hollingsworth Band, Papadosio, Zoogma, The Werks, The Bridge, Addison Groove Project, Perpetual Groove, Brock Butler(of P-Groove), Jeff Sype, Randal Bramblett, Loop, and many more! The band has also recorded four studio albums, the latest of which, ironically titled Jambands Ruined My Life, was released in 2013. In the midst of a monster fall tour, which will take them from Atlanta to Buffalo and all the way out to Colorado, The Mantras are slated for a stop in Charm City this coming Thursday, October 15. The epic Baltimore Soundstage has provided numerous memorable concert experiences, including The Motet, Shinedown, Dopapod, ZZ Ward, Papadosio and many more. You can be sure The Mantras will add a special night to that legacy. The band has aptly chosen Baltimore natives, The Jordan August Band, led by local photographer and guitarist Jordan August, as their opening act. The Americana/rock power trio has proved itself in the Baltimore area, opening for regional acts such as Moogatu and The Shack Band. Those of you who are located in the Greater Baltimore area will definitely want to mark your calendars for an epic Thursday night extravaganza of rock & roll! This entry was posted in Grateful Music and tagged Baltimore, Concert, Concert Preview, Jam, Jamband, Jordan August Band, Live Music, Maryland, MD, Preview, Rock & Roll, Soundstage, The Mantras.